Teachers are some of the most creative people, but they also want to work smarter, not harder. 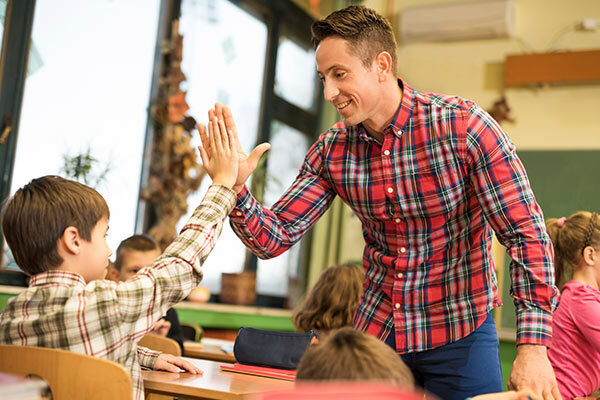 It takes village in the teaching world, too, so here are some great teacher hacks to help save you time — and maybe a little bit of your sanity as well. You’d be surprised how many organization dilemmas can be solved by creative wall hangings. Use removable wallpaper painted with chalkboard or whiteboard paint to create writing spaces almost anywhere in your classroom. Smooth surfaces work best — think doors, windows, tables, etc. Take a damage-free wire wall hook and affix a clipboard for a great spot for lesson plans — or class list, sub plans or any other important papers — keeping things easily visible and within reach. Use hot glue to attach a thumbtack to a clothespin to hang up papers. Add some flair by covering the clothespin with a strip of washi tape. Designate a bulletin board (with sticky notes handy) to encourage student's to write out questions and discoveries about a subject matter. It's an easy way to post questions and discoveries about what you’re working on in one place. Make a "NO NAME" clipboard with clothespins hot-glued to a strip of wood. Display unsigned work by folding papers hotdog style (with work facing out) for students to claim. Use painter's tape on your white board to make distinguishable areas for homework information, project deadlines or school announcements. Decorate with the dust jackets from picture books hung banner-style or illustrations from old subject-related books. Make washi tape "frames" for hanging on the wall. Use a thrift store wine rack with plastic cups to store supplies such as markers, small scissors or glue sticks. Take gallon Ziploc bags with a binder clip attached to one corner and hang on damage-free wire wall hangers for easy headphones storage. 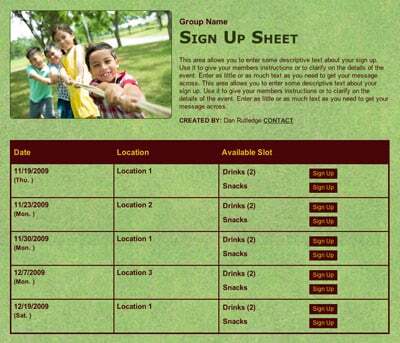 Plan parent teacher conferences with an online sign up! SAMPLE. There are some tricks of the trade to make sure student supplies are in order — and that little hands don’t leave your classroom a train wreck every day. Remember, a dish drainer filled with manila folders becomes a magical thing when there are review games (put game pieces in baggies), matching challenges and review work inside for those needing an extra challenge. Tape together a full tissue box with another empty tissue box so students can instantly dispose of dirty tissues into the empty box. Buy a box of golf pencils for unprepared students and add colorful duct tape tags at the tops. It decreases the likelihood of them "walking off.” In the first weeks of school, assign the task of taping the pencils to early finishers. Put dice in small clear Tupperware containers and shake as an alternative to having the dice fly off the table. Take old DVD or video game cases, slip a white piece of paper in the pocket, and they can be used as mini-whiteboards for assignments and classroom games. Use a white noise app — or a "brown noise" or "fan” — while students are working to cut down on distractions. Utilize a daily "bell ringer" or "bell task" as a great transition device to get students on task quickly. Use a jar with everyone's name on a stick for a great way to quickly create groups. It’s also an easy way to choose who will go first with presentations or randomly select students for helping in the classroom. Simplify indoor recess or free time by corralling games into plastic drawers. Students just take the drawer out to use the game and when done organize pieces back into the drawer. Have students pick a "user name" and post grades and other information using their user name to protect privacy. Group students quickly by passing out bracelets of different colors from the dollar store. There’s always something to be filed, graded or dealt with in another manner. Simplify to save time and maximize resources. Assign students a number that corresponds with your grading spreadsheet or grade book. Label papers with this number to make your life easier. Use medium flat-rate mailing boxes or cereal boxes, hot glued together and covered with wrapping paper, as a great filing system (copy, file, return) or for collecting homework. Get a key reel (at home stores near the key section) for your class key to put on a lanyard, thus eliminating the need to hunch over to unlock your door. Skip the dreaded paper trail of sign ups for parent-teacher conferences and explore your online options. 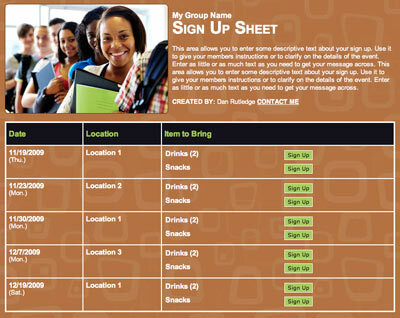 SignUpGenius has a Complete How-To-Guide for planning conferences to simplify your workload at conference time. Use file cases (find them online or at office supply stores) as ideal storage for unit-related papers and files and eliminate the need to three-hole punch. Save art projects until the end of the day. Stack your classroom chairs and use them as a drying rack with the art placed on each of the seats. Schedule alarms/reminders on your phone to go off to remind you of fire drills, special assemblies or to help you get in a routine the first few weeks of school. Collect school supplies with an online sign up! SAMPLE. Use an index card organizer as a "Cell Hotel" for confiscated phones or for students to store phones during class. Let go of your inner perfectionist and create a general plan for a substitute for last-minute absences. Include a book to read aloud, a movie to watch and some review games to play — and let yourself rest easy. Cut the upper right hand corner of papers or notebook pages you have graded, so it's easier to sort and find ungraded or unused pages. Buy dollar store plastic tablecloths to protect desktops and use as a drop cloth. They can also be used for easy bulletin board backgrounds. Create a lanyard for your substitute with a clear pocket, including the names of students, your classroom number and, on the reverse side, your daily schedule. Make multiple lanyards for multiple classes or sections. Use old CD or DVD binders with pockets to store decorative letters for your class bulletin board. Push two file cabinets together, back to back, decorate the side with fabric and you have an instant magnet board. Put crates together for storage, lasso desks together for grouping or corral messy computer cords with zip-ties. Giddy-up! Teacher hacks are all about finding small ideas that make a big impact on your classroom. Use some of these helpful ideas for your classroom or — even better —use them as a jumping-off point for your own creative, timesaving teacher hacks! Julie David is a former teacher who lives in Charlotte, N.C., with her husband and three daughters. Thanks for the tips, some of them will most definitely be used. 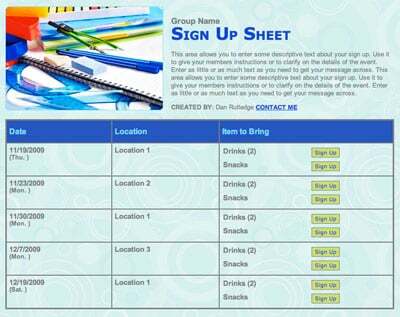 Plan a back-to-school party with an online sign up!